From the inside front fly leaf: This fourth volume of a comprehensive five part work on D-Day covers every aspect of aerial operations on and behind the beaches at 'Omaha' and 'Utah' beaches on 6 June 1944. It might be imagined that the passing years would blunt the outlines of the experience but the D-Day veterans do not forget. Their accounts convey the chaos, terror and hysteria as the first salvos of German fire clanged off the landing craft, in language that is all the more powerful for its terseness and simplicity. 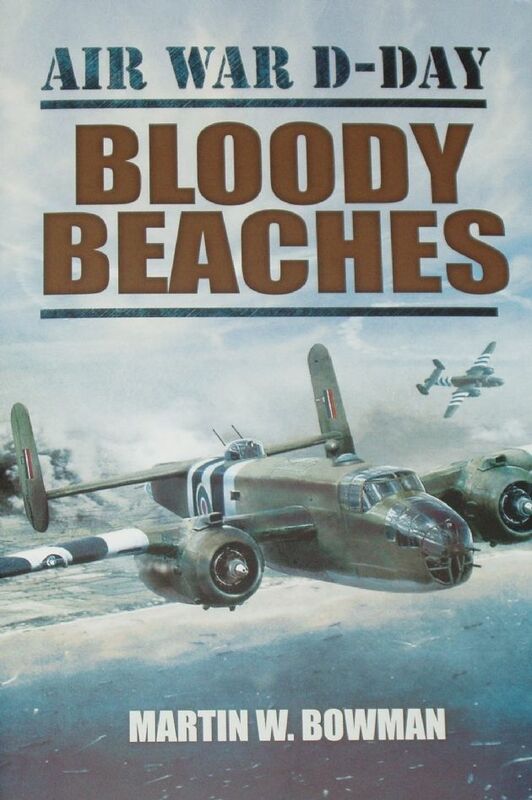 The landings at 'Omaha' which were vital to connect the US troops at 'Utah' Beach with the British and Canadian beaches to the east were an unmitigated disaster with an estimated 3,000 killed, wounded and missing. The highest number of casualties of all the beaches, they were the greatest American losses in one battle since the Battle of Antietam Creek in the American Civil War in September 1862. The situation on the beach was chaotic as troops were pinned down by enemy fire and had to take cover behind mined beach defenses. As things progressed, it was an accumulation of individual acts of self-sacrifice and gallantry which opened up an exit and a seaborne bombardment by the task force saw tenuous footholds finally gained by early afternoon. In stark contrast to Omaha, an almost textbook landing was made at Utah; the air bombardment was effective and a strong current actually landed the 4th Infantry Division 2,000 yards south of their intended target where the beach was less heavily defended. This account analyses each aspect of the aerial operation, noting how events on the ground and in the sea impacted upon pilots endeavors in the skies. Evocative images supplement the text effectively to create a real sense of what it was like for the pilots of D-Day, the individuals who made such a contribution to the Allied war effort in the Second World War.